Despite my moaning and puling back in the spring about knee injuries that promised to rule out any ambitious cycling this year, I found my way to one of the strongest and most adventurous outdoor seasons of my life. 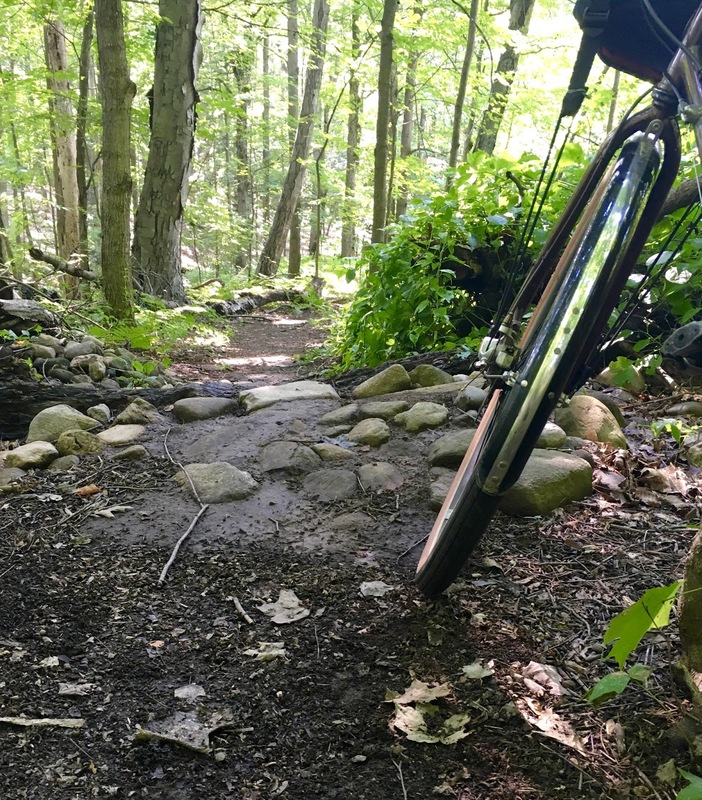 The most notable part was training for and riding the nefarious Deerfield Dirt Road Randonee, an event I’d dreamt of for years, but thought ridiculously out of reach. My months of prep offered rich lessons: the well-known, little-heeded value of small increases in duration and intensity; the crucial nature of first-rate nutrition; the power of focused planning and analysis; and, not least, the superpower granted by a lighter wheelset and wider tires. I could write a heartfelt post about each of these.The greatest lesson, however, was a cliché I’d carefully avoided most of my life: Sometimes, you have to pick something and give it your all. I mean... it sounds so Tony Robbins. Well, not so fast, you ironic pomo hipster, you. Over the 10 years I’ve been cycling seriously, I’ve many times toyed with the idea of taking on a giant goal, but have completed only a few of them. Often, this was due to overuse injury rearing its ugly head. Sometimes, the goal turned out to be not as valued as I’d thought. But many times, I was defeated by my own mind. I found one reason or another to back away or downgrade expectations.This year, all the pieces came together, and I determined I would give D2R2 my all. It was a goal I had previously thought laughable. 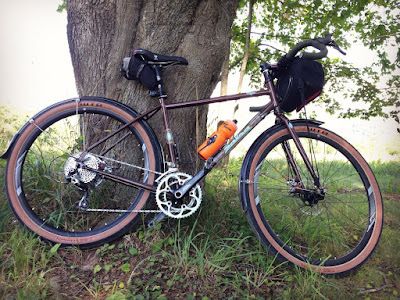 Given that knee pain usually cropped up within 30 to 40 miles of moderate road riding, what made me believe I could pedal up 65 miles of the longest, steepest, most washed-out gravel roads in the state? Wasn’t that the kind of overreach that had caused the overuse injuries in the first place? In the end, it was the absurdity of the idea that led me to the right approach. Because there was a good chance I wouldn't even finish, I was able to be flexible about how I framed my ambition. I told Mrs. MSB (a hardened veteran of my ambitious dreams) that I was thinking of it as a psychological challenge. I wanted to prioritize curiosity: what would my mind and moods do over the course of the preparation for and execution? As the big day approached, would I be calm? Anxious? And, would I hate myself if I didn't finish, or might I be surprised by my response? Could I find ways to stay in the larger picture? It was this reframe that made all the rest possible. Removing shame and fear as unconscious motivations allowed me to give my all, without fear of “failure,” or feeling like a “fool." After all, if the whole thing’s an experiment, over and done by mid-August, why not put all my chips down? I managed to find some approaches to knee pain that even my exhaustive research over the years had overlooked. I dedicated absurd amounts of time to physical therapy (even for a PT obsessive like me). I put a chunk of money into a much lighter and more capable wheelset. I pre-rode some of the most challenging parts of the course, to get a dose of what kind of suffering I was in for. (It was here I came the closest to losing hope. These are not roads meant for touring bicycles). Maybe most of all, I increased up the physical challenge slow by slow, over many weeks. By two weeks out, I was a little sick of thinking about bicycles, but man—was I strong. Maintaining this single-minded focus for months on end was new to me, and I had previously thought it would lead to the kind of nagging injury I was so used to. Instead, the absurdity of the challenge made me cautious and thorough. I knew one misstep could bring the whole project down. In the past, without an organizing goal, I would simply go as hard as I could for the whole season and beyond, leading inevitably to overuse and burnout. Instead, I rode farther and higher than I had in years--all before the event even started. I learned that, if I’m careful, my body actually is stronger and healthier under tremendous demand (for a short period) than it is if I stick to moderate activity. The last lesson was about persistence. Because I couldn’t afford the dire consequences of bulldozing through pain or problems, I backed off and tried something new each time things started to fall apart. Upward went the positive spiral. After all this learning and growth, the actual event turned out to be less exciting than expected. 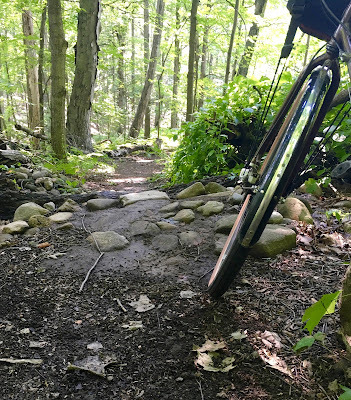 Don't get me wrong; it was a beautiful and very hot August day in Western Mass, and I had great fun gathering with 1,600 devotees of unusual bikes designed for back-road cycling. I got to ogle rare machines hand-made by builders I’d only heard of. And the scenery on the route was among the best I’ve seen in Massachusetts. But mostly, it was, simply and by far, the hardest physical thing I’d ever done. In the end, I didn’t finish the route. After 30 miles of stupid-steep gravelly hills, I began to feel pain in my knees that I knew from experience would only worsen. I bailed at mile 47, about two-thirds of the way through, skipping the last of the giant climbs. Every pedal stroke was already excruciating, so I kept another rider company on the alternate route back to the starting line; the conversation did much to distract me from the pain. I ended up with 65 miles and 5,000 feet of climbing on the day (even with the bailout, my biggest ride ever). In the days following, I realized to my surprise that I felt no shame about my DNF—a result I’d dreaded for years. It helped that I’d decided long before the event that the experience was more important. I knew without question that I’d given it everything I could, learned more than I could have dreamed, and hadn’t pegged my sense of self on an outcome. And so, the fact that I couldn’t finish stayed just that: a simple fact. It didn’t scare me or make me feel small. And that realization remains more valuable to me than any possible physical accomplishment. It’s a kind of permanent freedom to know that, if I go all out for what I truly want, there can be no failure—only gain. Now I'm wondering: what impossible thing might I try in 2018? I bike hundreds of days a year on paved roads, dirt roads, and singletrack. My wife, Emily, and I—along with Poncho, the Wonder Dog—hike, camp, and wander New England farm fields. I've been adventuring since my first bike tour in 1980, and living in New England for 21 years (and am still not a "local").